Get on the bike with Penny and help her succeed in her mission of grabbing the most prized jewels in London. Assist her and be rewarded handsomely! Join Penny on a mission to steal the most prized gems in all of London. It’s not going to be easy as she has to get past the finest butler, the postie, the cleaning lady and a bulldog. 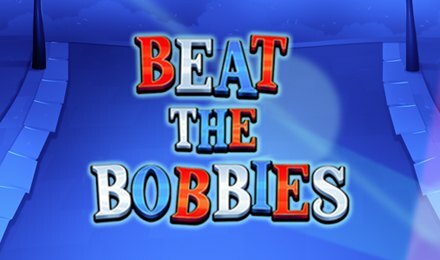 Enjoy an action-packed ride with Penny on Beat the Bobbies slot at Vegas Spins. The 5 reel game gives you 243 ways to win to play on, thus, increasing your winning potential! Eyecon has outdone itself by providing a fresh slot game with various multipliers and bonus round options to play on. Plus, the Free Spins feature can be re triggered up to 15 times.